Stay in Scotland's best hotels! Located 2-minutes walk away from Edinburgh Airport, Hampton By Hilton Edinburgh Airport offers free WiFi. Among the various facilities of this property are a fitness center and a bar. Good on breakfast. Excellent location to airport. Beautiful room. Radisson RED hotel in Glagsow features 174 rooms, 3 event and games studios, Glasgow’s first official rooftop bar, a fitness room and 76 car parking spaces. Beautiful views, funky rooms, super clean, amazing staff at check in. 100% recommend to stay here! Set in Westhill, 8 miles from Aberdeen, Hampton By Hilton Aberdeen Westhill features a 24-hour fitness center and business facilities. Guests can enjoy the on-site bar. Excellent and friendly staff, starting at reception through to the dining area. Chain Runner by Marston's Inns is located in Livingston, half a mile from the Livingston Designer Outlet. Free WiFi is available throughout, and free private parking is available on-site. We had a nice stay here. Good value for your money. It was nice having a pub close by for some delicious food and drink. Ibis Styles Glasgow Center George Square offers accommodations in Glasgow, just a 7-minute walk from Glasgow Central Train Station. Guests can enjoy the on-site restaurant. Almost everythig was super. Cheap parking. The Motel One Edinburgh-Princes is in the heart of Princes Street and less than a 5-minute walk from Edinburgh Waverley Station. This contemporary hotel features a bar and a 24-hour front desk. The staff! Charming, helpful, attentive. Ingliston Country Club sits overlooking the Clyde estuary, located 7 miles from Glasgow International Airport and 8 miles from the Southern point of Loch Lomond. Place is very clean, relaxing, with nice views and close to the airport. The Seamill Hydro Hotel & Resort offers a beautiful seafront location, overlooking the Firth of Clyde and the isles of Arran and Ailsa Craig. Stayed in a double suite for 3 days and it was very comfortable. The 4-star Dakota Edinburgh is a modern hotel with an award-winning restaurant and free Wi-Fi. An airport hotel at this price has no business being this good. Apex City of Glasgow is located in the heart of Glasgow's vibrant city center, where this boutique-style hotel offers free WiFi and has good access to the M8 motorway, a few minutes' drive away. Great location but really quiet hotel. In Dundee’s City Quay and 5 minutes' walk from the city center and 0.6 mi from the V&A Dundee, the luxury Apex City Quay Hotel & Spa has a Japanese-themed spa, a bar and restaurant. Really good staff, from reception to restaurant. Very comfortable rooms and quiet. With panoramic views across the Firth of Forth, DoubleTree by Hilton Edinburgh - Queensferry Crossing offers spacious rooms with free WiFi and a modern bar. There is ample free parking on-site. My husband had left his tablet, phone and passport in the public bathroom in the restaurant. Kimpton Charlotte Square Hotel is located in Edinburgh, just yards from Princes Street and George Street. Location , Location, Location! The Decor is amazing; beautiful curated furniture! Just a short walk from Glasgow Airport Terminal Building, this Holiday Inn Express has a 24-hour front desk and on-site parking. The hotel is just off the M8 motorway. Excellent location, short walk from the airport. Located on Princes Street, The Balmoral has a Michelin-starred restaurant, a pool and a gym. Waverley Station and Edinburgh's main shopping area are within 5 minutes' walk. Everything was amazing, staff, food, room. 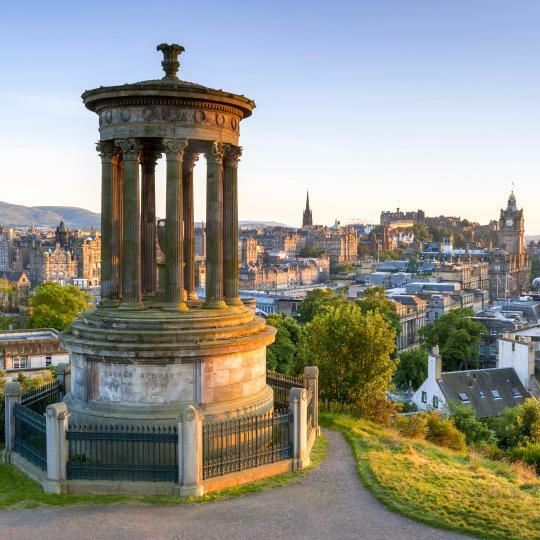 Boasting an enviable location in the Edinburgh city center, the historic and chic The Principal Edinburgh George Street, formerly The George Hotel, is close to Edinburgh Castle, Princes Street Gardens... Excellent service and great location. ! I highly recommend it! The glamorous Rutland Hotel has stylish rooms, a luxurious late-lounge, and a unique restaurant with a glass wine cellar. Every staff member I met was so friendly and greeted me with a warm smile. This small, family-run metro hotel has easy access by bus to Edinburgh city center, less than 2 miles away. It offers free on-street parking, free WiFi, rooms with attached bathroom and a bar. Adorable staff and really great breakfast. Location is just fine. On the historic Royal Mile, Radisson Blu Hotel Edinburgh is a modern hotel which features a spa / fitness center, stylish bar and luxury bedrooms with free Wi-Fi. I loved the friendliness of the staff. The decor in the hotel was lovely. No trip to Scotland would be complete without sampling a “wee dram”. 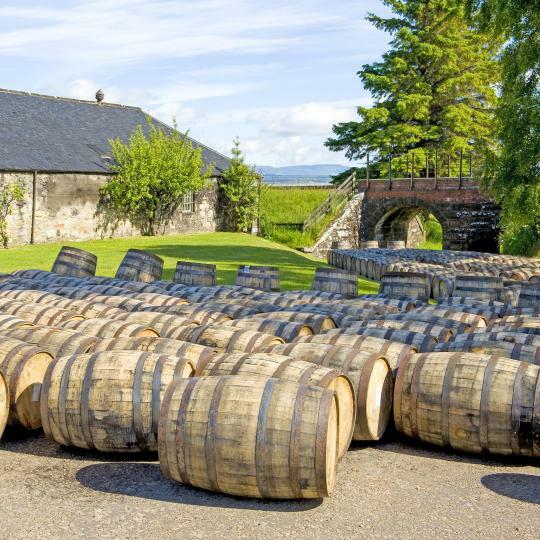 There are 5 whisky-producing regions, where you can take distillery tours. 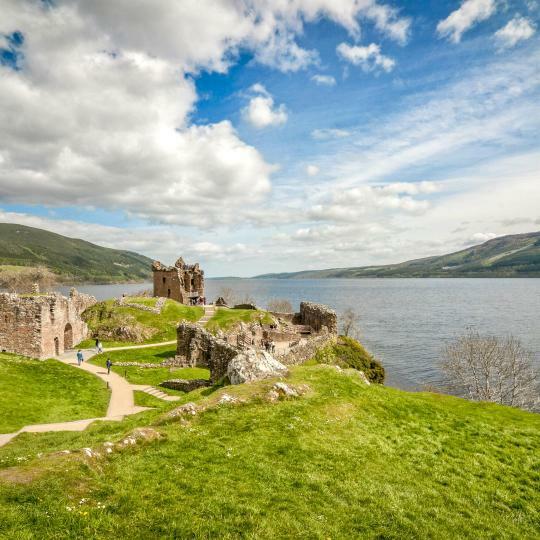 Can you spot the famous Nessie? 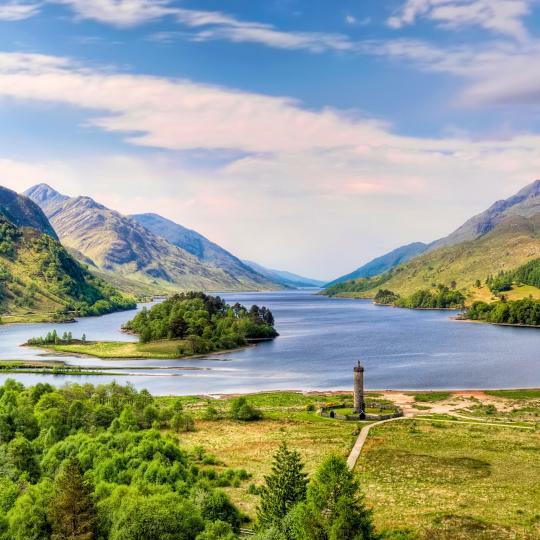 Legend has it this sea monster skulks beneath the waves of this 20-mile-long lake in the stunning Highlands. 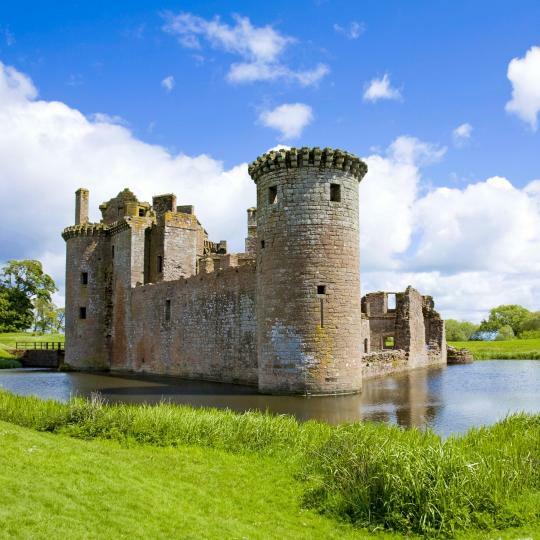 Scotland’s iconic castles are riddled with history and legends, from haunting cliff-top ruins to striking fortresses. The atmospheric capital has both a new and old town. Its sights and host of vibrant festivals draw in millions of visitors each year. 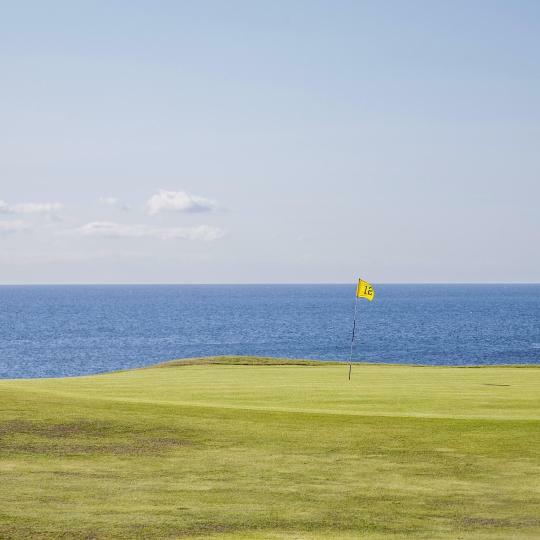 Played on Scottish soil for over 6 centuries, Scotland’s golf is world renowned. Enthusiasts will love the numerous historic courses and tournaments. The Highlands range over 10,000 square miles of sparsely populated terrain. Experience some of the country’s prettiest scenery, highest mountains and tastiest whisky. A Munro is a mountain in Scotland of over 3,000 feet. There are 282 to be scaled, can you complete them all? 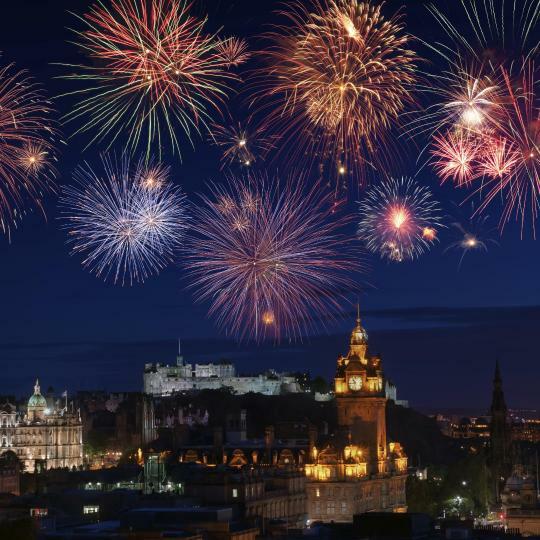 Hogmanay in Edinburgh is one of the world’s largest New Year’s celebrations with fireworks, live music and renditions of Auld Lang Syne. 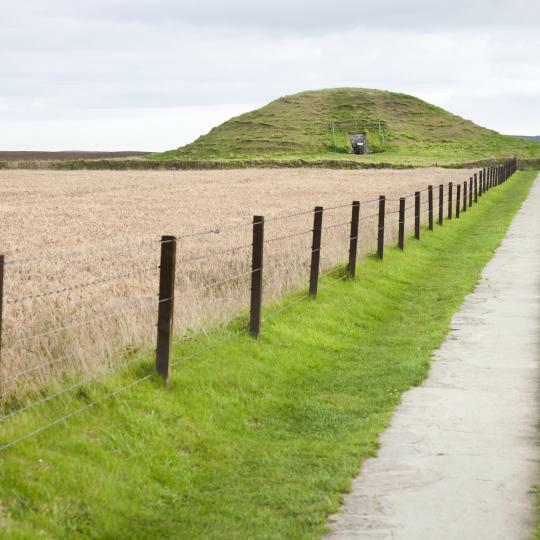 Maeshowe’s Neolithic tomb dates back over 5000 years. It was given UNESCO status in 1999. 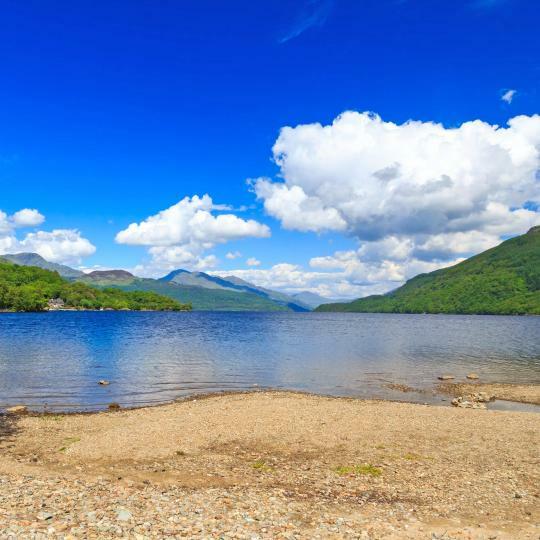 Loch Lomond’s bonny banks are surrounded by rugged mountains and forest. The stunning national park covers over 720 square miles. Town centre although small had plenty of eating places. Dinnet and our accommodations were spectacular. Dinnet and our accommodations were spectacular. Our hosts could not have been nicer, and the place could not have been more of a surprise. We arrived in Scotland without a lot of advanced planning and discovered that it was festival time, so there were sparse accommodations available throughout the northern part of the country. We stumbled upon this place while at the tourist information bureau in Edinburgh and it could not have worked out better. It was in the beautiful Cairgorns National Park, and the local food and scenery were both wonderful. Lovely little town. Lots of little shops and pubs. Lovely little park. Great jumping off spot for the area. Some of the prettiest scenery we have seen in Scotland. Away from the bustle of city life, Stirling brings happiness as soon as one drives in. The memorial and castle recapitulate the histories of Scotland, Englaind and even India! The Wallace monument and Stirling castle are a must to visit. But never in a hurry. Stirling is not a check-off box - it is an experience. Beautiful area. Mountains and sea create a very unique spot on earth. A bit of a drive to get to this remote town, but well worth the effort. This is a must see area for those who really want to see the beauty and ruggedness of "wild" Scotland. Small quaint village in a beautiful setting about 30 min from Portree. 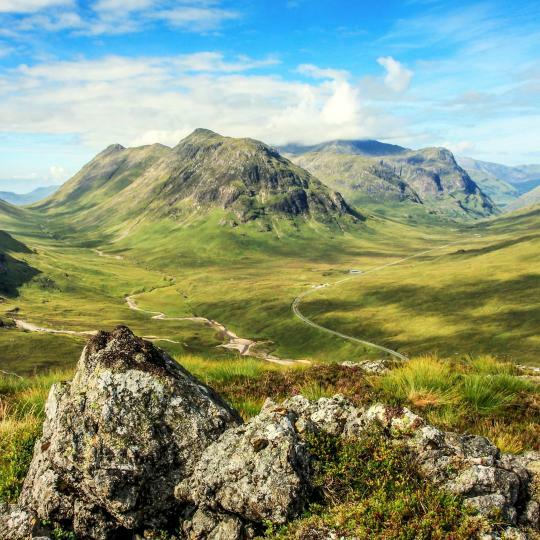 Great location for easily enjoying beautiful sights and hikes in this part of the Isle of Skye. We highly recommend renting a vehicle like the. Volvo X Country or a Land Rover for travel to this part of Scotland. And w/auto transmission as well esp. if you usually drive on the RT hand side of the road!! Narrow two way as well as one lane roads are the norm. Very doable if you are patient and rested!! We enjoyed it here very much and you do get accustomed to the roads. A few of the activities we considered weren't available to us with our daughter- 7 years old or less than 100 lbs. We did enjoy the gandola on Ben Nevis though:) I wish we had discovered to National Trus of Scotland a little sooner, but we got to enjoy the village walk before having to leave. The walk near the Inn Restaurant on the other side of the loch was perfectly serene. The locals are just really nice, friendly and their patriotism to Scotland is just fascinating in a very good way. There are few nice bars around the area and if you go there please do no drink beer! Try an authentic Scottish whisky! I promise you that you will not regret it! Location, location, location. It's location in town couldn't be better/more convenient. It's walking distance to practically anything, the ferry terminal is just across the street and the hotels view out over the harbor is a very much Instagram worthy picture. Rooms are nice, clean and bed/pillows comfy. Bathrooms were clean and bright and the heated towel racks were a nice added touch for cool Scotland. Breakfast buffet was good and choices plentiful, and the included cooked to order menu items were varied and tasty. Traveling with a friend through Scotland, we were looking for a place outside the city. We found the hotel to be upscale and modern. Our rooms (8 & 9) were newly renovated, large, and extremely comfortable. The bar offered an excellent selection of beer, wine and whiskey and the restaurant was modern and quite good. Don't miss the homemade cannelloni if it is on the menu. Several walking trails in Cults including a path along the river that is accessible across the street. I would happily return to the Cults Hotel on a future trip. We had a fabulous view of the City of Edinburgh Scotland. The room was actually a modern, furnished apartment with amenities such as washer/dryer, dish washer, range, microwave oven & Nespresso machine with coffee pods, sugar, etc. Thoughtful details such as providing bottled water and milk for coffee in the refrigerator upon arrival. Other appreciated amenities such as heated bath towels and bathrobes were provided. Much more than I expected. The staff was very helpful and courteous throughout our stay. What a wonderful stay! We arrived very late due to an accident on the main road and our hosts were waiting. They invited us to a music night at the nearby hotel. We enjoyed hearing authentic music of Scotland performed by local people of all ages. Our room was so lovely. A huge comfy bed, an absolutely amazing bathroom with locally sourced bath gels, tea and coffee and sweets. Our breakfast was great and our hosts had so much information about the area and Scotland. We loved it! Both my partner and I loved the hotel decor and ambiance - especially in the lobby/ bar area. The staff were very friendly, and eager to help. We stayed at Motel One on our very first night in Glasgow, after which we proceeded to tour around Scotland for 2 weeks. We returned to Glasgow on our last night, and stayed at another hotel, but we did drop by for one last drink at the bar because we loved the ambiance so much. We will definitely be back for another stay. Loved ample room for 4 people. Nice kitchen and dining. Absolutely gorgeous 6acre garden. Loved strolling in early morning around cottage. Loved being separate from hotel but still able to go to dine in hotel's dining room. Very private. Best Dinner and breakfast I had in Scotland!! Applaud the chef! Staff very nice and accommodating. Felt pampered. My favorite place to stay of 10 days in Scotland. I highly recommend. The staff made me feel well and secure (I'm an emphysema patient) and were more than helpful assisting with my special needs. My first time in Glasgow...first time in Scotland. I wish Sir Paul played a gig there in the summer months, so I could tour the Highlands. And British Rail Virgin Trains got me down to my hotel in Gatwick perfectly. I hope to visit again soon. I liked how relaxed and comfortable this hostel was! The staff were super friendly and eager to help answer my questions since I am very geographically challenged - and that's with me coming from Scotland! I had a meal before the gig I was going to which was great! not too pricey either! and breakfast in the morning was amazing! highly recommend the hostel to others! Extremely comfortable accommodations. Host very accommodating and available if needed. Wonderful pastoral views. Apartment well situated, well provisioned. Glencoe area was lovelier than expected - one of my favorites in Scotland for sheer scenery. Great restaurant at Loch Leven Hotel and Loch Leven Seafood. So comfortable - couldn't recommend more highly! The Salmon and egg dish was amazing. The staff was GREAT! Kieran and the bar staff was very accommodating, especially since we arrived so late. The bedding was extremely comfortable. The Murphy Bed was perfect for our two adult daughters traveling with us. Truly enjoyed our stay in this very quaint hotel. Would highly recommend for a stay in Scotland. We had a great tie and if you wish to be centrally located to public transit and shops this is the perfect location. It was very warm (unusually hot) so the room was a little warm but imagine during normal Scotland weather that would have been perfect. The hotel staff is excellent and quite helpful. Everything about our stay at the Ardoe House Hotel was excellent. The staff was great, the room was quiet, comfortable and clean, the breakfast buffet was excellent. We ate one dinner there and it was excellent too. If we ever visit Aberdeen Scotland again we would stay there again!! The best hotel we stayed at in Scotland. It was right downtown, a few steps from the Queen Street Train Station. There was a mini bar in the room we could use free, the breakfast was outstanding. The staff is very, very helpful. Great hotel to explore Glasgow. We really liked almost everything. We had a problem the first night and the emergency maintenance man promptly looked after it. The apartments are lovely and were perfectly located for us. When I contacted Destiny Scotland with a question, they answered quickly. Large quiet apartment in a quaint small town witin a few minutes drive to everything northern Scotland has to offer. So glad we chose Barron House over another small hotel room in the big city! Best accomodations so far on our trip! Thanks Martin! Wonderful hotel! Everyone was very friendly. The location can't be beat. The room was very clean and the bed comfortable. It is a bit pricey but you expect that for being on the Royal Mile. Loved our stay in Scotland! Highly recommend! The hotel was lovely; I could not have been more satisfied. The property was spotless and the staff very accommodating. I will plan to visit again sometime and stay even longer to enjoy the wonderful city of Edinburgh, Scotland. We only stayed one evening during our trip through Scotland, but would definitely stay there again if the opportunity arose. The hotel was clean and convenient and the staff was very pleasant. The breakfast was excellent. The hotel was conveniently located at 1 block away from the central train station. Great breakfast buffet and they offered refundable cancellations which in Scotland seems to be rare. Very convenient to get a taxi cab.